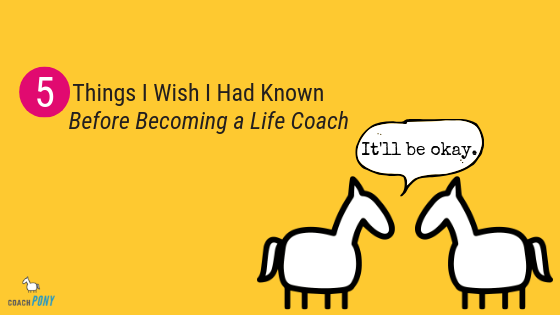 So you’ve decided you want to be a life coach, which is awesome! 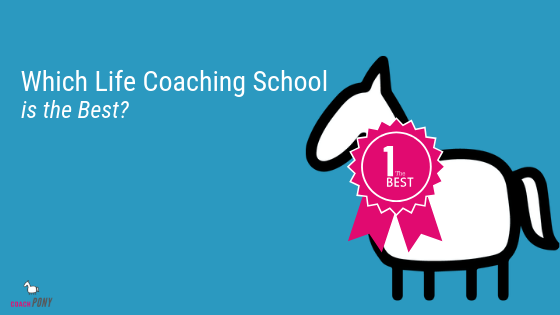 Now you need to choose a life coaching school, but you are wondering: Which life coach school is the best? There are so SO many! Don’t worry, we will help you immediately if not sooner :). First: Coaching isn’t a licensed profession. That means that anyone can call themselves a “life coach” even if they have not gone through the process to get certified. How this is relevant to you is important, because not having a license means that the schools themselves don’t have to get accredited by any specific institution. So that means that there are a LOT of shady schools out there. But don’t fret, you can easily avoid them if you know what you are looking for, so keep reading :). Second: There is a governing body called the International Coach Federation (ICF) who DOES act as the moral center of the industry, and they do offer accreditation to schools who apply and meet their standards. You should first and foremost look for a school that has been accredited by the ICF because you know then the school had to meet certain standards. Yay standards! Third: Beyond choosing a school that is accredited, you also want to choose a school that has an in-person component. Coaching is a very personal skill and profession, even if you plan on working with groups or designing large-scale online programs. And you’ll learn better and faster if you get to be with real people, getting real feedback. It’ll just make you a better coach. This means a big frowny-face at those programs offering to certify you entirely online in only a matter of weeks. The best life coaching schools will have weekends or special weeks where you come together in person with your coaching cohort, and in-between they will offer distance learning and virtual support as you process the big learning weekends. Fourth: Getting certified does take time. So again, avoid schools that are offering to certify you for a few hundred dollars over a few days. It’s a big skill, and a lot to learn! You have compile a certain amount of practice hours and pass a written and oral exam before you can say you are a Certified Professional Coach. The best coaching schools will shepherd you through the entire process, making sure you have enough hours and support. Finally: Each coaching school teaches the same fundamental skills, but they all have their own flavor and approach…which varies widely. It’s good to research a couple of programs and schools, and either talk to an admissions officer from each or attend one of their free open evenings, so you can experience their approach to coaching and make sure it fits with YOUR personality and style…and budget :). Some schools have more of an entrepreneurial mindset, some are focused more on organizational coaching, and some just have their own madcap loving approach, so don’t be afraid to shop around! Good coaching schools will offer multiple ways to get to know them AND they will be happy to chat with you one-on-one. (And if you want to jump ahead because you are wondering how to make money as a coach, then you need to grab this fancy-pants free guide on *exactly* how to do that!). 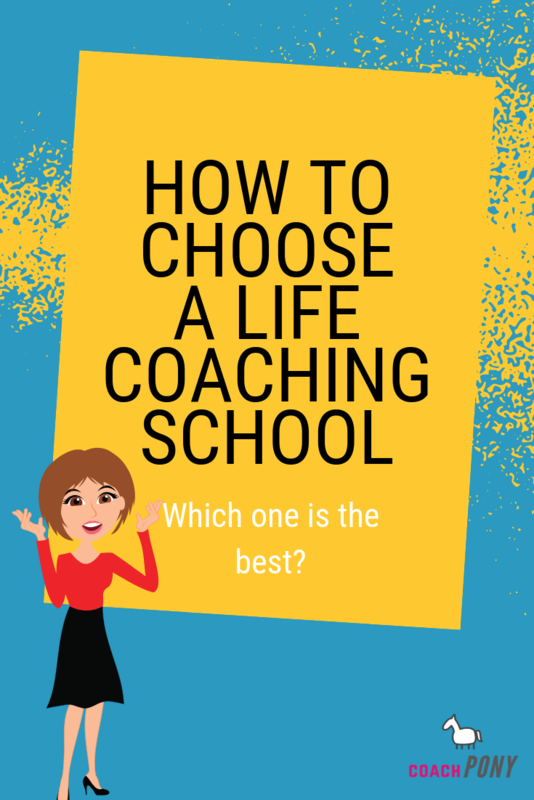 But which life coach school is the best? For real? Because the schools have such a different philosophies and flavors (which are often based on the school’s founder, who will almost certainly have published a book re: said philosophy), it’s hard to judge one over the other, assuming they meet all of the above criteria. But, that’s not helpful for you now, right? IPEC has been around for 15 + years as of this writing, and has classes offered all over the US, as well as offerings in Canada, the UK, and the EU. Their “flavor” is called Energy Leadership, and it’s all about how to understand and shift your energy so you can achieve your goals and reach your potential in life, and of course do the same for your clients. Given that flavor, IPEC in-person events tend to be both fun and energizing, and they pride themselves in offering more comprehensive support in their coaching programs (i.e., not having to pay extra for certain types of support like working with a mentor coach). Given that, it’s a great place to start your coaching journey. Sooo…unsurprisingly their flavor is indeed Co-Active Coaching which is all about partnering with your client in a specific way, in order to uncover the best in each other on the way to achieving big goals. With the most graduates around the world, and the most amount of time in the field (and creating the field), CTI is a great bet for you and another good place to begin your research. They have classes and trainings all over the US, Canada, UK, EU and basically most of the rest of the world :). If after googling around on “best life coaching school” and coming up with a long list, make sure that you pull out the top of this handy blog and double check: Is the school accredited by the ICF? Does it have an in-person component? Does its “flavor” sound interesting to you? And what do they offer so you can experience the school for free before you enroll, given that the best schools are definitely *not* cheap? Go to an event and talk to the admissions, and see how much you enjoy the process. Don’t stress about it too much, you’ll know when you hit the right school. One more thing to think about: Think about what you want to do AFTER you finish certification. Things like starting a business, or coaching within your existing organization. Does the school have graduates who do what you want to do? Does it have a focus in that area? Double check on this as your last criteria point, and then pull the trigger. Getting certified as a coach is one of the most introspective, interesting, and useful personal journeys you will take in this life, so seriously, it’s worth it. If you are thinking: “I want to be a coach and own my own business selling life coaching” then PLEASE PLEASE PLEASE put down your wine and read this article on why most fantastic new life coaches fail, and what to do instead. It’ll save you tons of heartache and stress (and will also tell you how much you can expect to make, which makes it worth a click, no? ).